Kathryn S. Zecca is a civil and criminal trial litigator. She represents Fortune 500 companies, major accounting firms, financial institutions, hedge funds, individuals, and trade associations in federal and state courts, and in government and internal investigations. Her civil practice encompasses a wide variety of matters. In recent years, she has defended federal securities fraud and antitrust class actions, defended qui tam and employment actions arising out of False Claims Act allegations, litigated complex trade secret, breach-of-contract and fraud cases in federal and state courts, and defended breach of fiduciary duty and malpractice actions. Her criminal practice includes representing defendants in indicted federal criminal proceedings as well as representing targets and witnesses in federal and state criminal investigations. Her investigation experience includes representing clients before the Securities and Exchange Commission, the Antitrust Division of the United States Department of Justice, the Environmental Protection Agency, the Public Company Accounting Oversight Board, and the New York Stock Exchange, as well as investigations conducted by several state attorneys general. Before joining Robbins Russell, Kathryn served as a law clerk to the Honorable Harold H. Greene on the United States District Court for the District of Columbia. 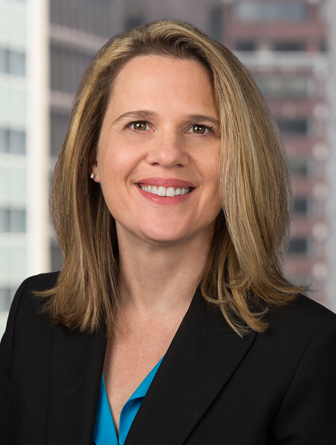 She also worked in private practice at Irell & Manella in Los Angeles, California and at Mayer, Brown & Platt in Washington, D.C.
Lead counsel for leading software provider in trade secret and breach of contract dispute in connection with provision of cloud-based services. Obtained complete victory for client. Lead counsel for hedge fund in breach of contract dispute over potential $130 million transaction involving claims against the estate of Bernard L. Madoff Investment Securities. Lead counsel for international accounting association in federal securities class action. Represented the only one of six defendants to prevail on motion to dismiss. Represented top investment bank in connection with Department of Justice antitrust investigation. Successfully defended Bank of America in trial court and on appeal in statutory and tort action arising out of Bank of America’s trustee business. Bank of America was only defendant to prevail on summary judgment. Represent Fortune 500 company in qui tam lawsuit alleging company earned excess profits in connection with contract with Department of Homeland Security. Won summary judgment on all claims. Trial Counsel in SEC trial of two New York Stock Exchange specialists charged with securities fraud. Also represented specialists in indicted criminal proceedings and in NYSE enforcement action. Federal prosecutors made a rare voluntary dismissal of both criminal cases before trial, and the NYSE also voluntarily dismissed all charges against both specialists. Represent publicly-traded entertainment company in defense of federal and state derivative lawsuits. Represented several of the country’s largest accounting firms in federal securities actions, obtaining dismissal or summary judgment in most cases. Represent several of the country’s largest accounting firms and individual accountants and auditors in SEC investigations and enforcement actions, before the PCAOB, and in criminal investigations.